Soft Tissue Laser Frenectomy TRULY Sets Enclave Dental Apart! Recently I wrote a short piece of my personal story regarding lip and tongue ties (Ankyloglossia), and ultimately, why I am so intent on bringing this awareness to other mothers and babies struggling in the same way I did. The procedure mentioned in that story is called a frenectomy. This is a very short and painless procedure I have performed on HUNDREDS of babies and children over the years, and fully plan to bring relief to hundreds and hundreds more! Prior to the procedure, a topical anesthetic, which is free of benzocaine, is applied on the lip or under the tongue, where the frenum connects the tongue to the floor of the mouth. This ensures the child feels no discomfort during, nor after the procedure. I then use a very small, precision, soft-tissue laser to release the fibers and relieve the tension on the lip and/or the tongue, so the tongue can move freely. Lip and Tongue tie can cause cavities, gap in the front teeth, trouble with feeding, chewing, speech, etc. 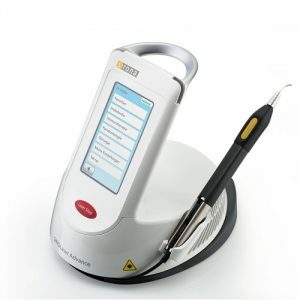 Usually, there is no bleeding and the laser greatly reduces the risk for infection. Healing and regeneration is stimulated by the laser’s energy, so recovery time is also much quicker. Some babies even sleep through the procedure! The whole encounter, from your consult to the time you leave, will take no longer than a typical dental visit for routine cleaning! As I’ve said before, everything I do I want to do with my patients’ comfort and wellness as the top priority. This is why I am one of the few dentists in the DFW region who is trained to perform a laser frenectomy. I feel it is important for you to know I want the same care for your children as I do for my own! My fulfillment is seeing the happy tears and grateful looks on mother’s faces (and patients) when they FINALLY have relief, and are free from frustration! Even if you do not encounter this in your life, please share this with other mothers you know who may be just as confused and frustrated as I was, not knowing the answer was so simple. Please call my office to discuss this procedure in more detail, and I will gladly share my own personal experience with you. Comments Off on Soft Tissue Laser Frenectomy TRULY Sets Enclave Dental Apart!